Lacoste was founded in 1933 by the French tennis player and inventor René Lacoste. The brand was inspired by the sport of tennis which led to the development of the classic polo shirt. The light and flexible cotton material of the polo made it perfect for sports activities. In 1958 Lacoste started producing children’s wear and since then they have increased their product range, adding many other items such as shoes, sun glasses and sweatshirts. 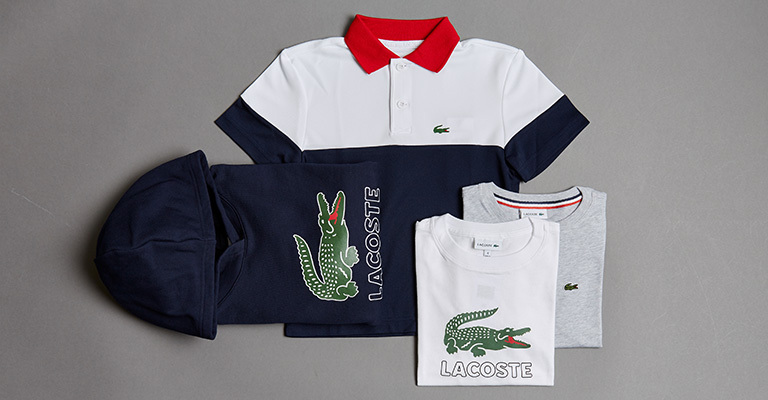 Lacoste is renowned for its quality products and especially for the little crocodile logo that decorates each item.